On EMC ViPR and ViPR SRM we could listen on a recently EMC Forum 2014 conference in Warsaw. 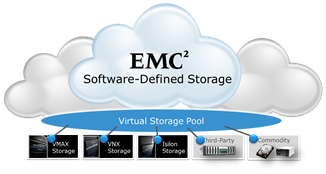 It is quite a new solution from EMC, showing exactly how the company sees the software-defined storage. What really is ViPR? 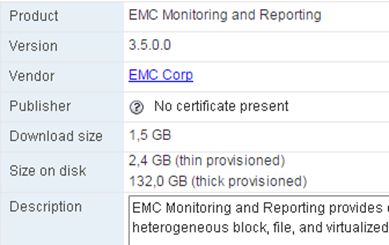 In the huge simplification, this is a storage management (monitoring and reporting) system. At some stage replaces the storage management consoles (eg. Isilon, VNX, and others) providing a consistent interface between users requirements (for space) with the function of the management and distribution of space for those users (eg, individual or bussines groups). What ViPR is not? 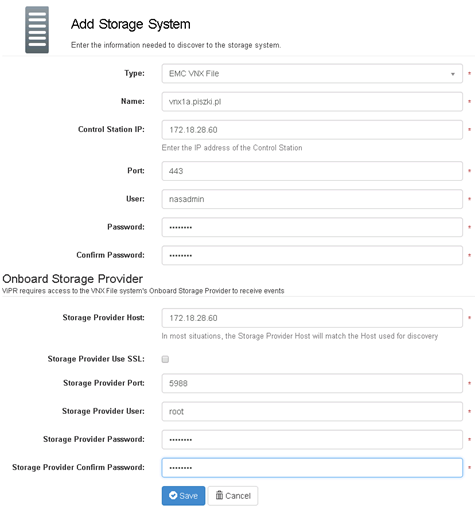 It is not a storage virtualizer (please keep this in mind). The same solution is very cheap, for $ 10k you get a full set of license for a huge number of Terabyte. Fortunately, we do not need to buy EMC ViPR for testing purposes, they can be downloaded directly from EMC (version for three or five nodes) with unlimited time license (for 300T). Or traditionally, from me (single-node version). As the ViPR appliance is quite demanding with respect to RAM (installed with 16GB but works fine on 8GB), a one-node version for test is enough. In this post I will show you how to take the first steps in ViPR so we do not get lost. This will help you get an idea of what lies behind this solution. 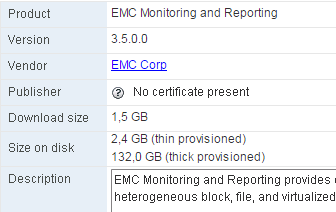 In test we use as a backend earlier installations of EMC Isilon and EMC VNX for File. 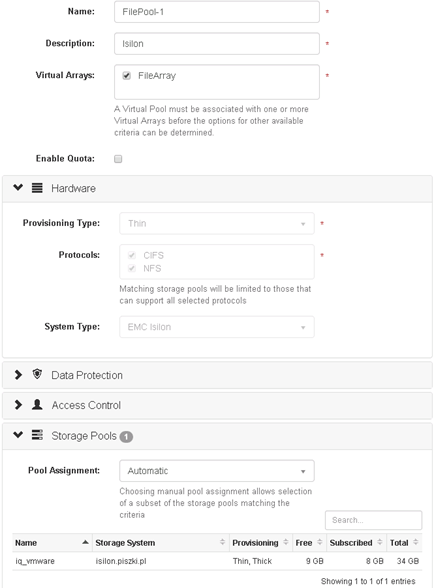 The first stage is a standard appliance OVA upload, providing all the necessary parameters. 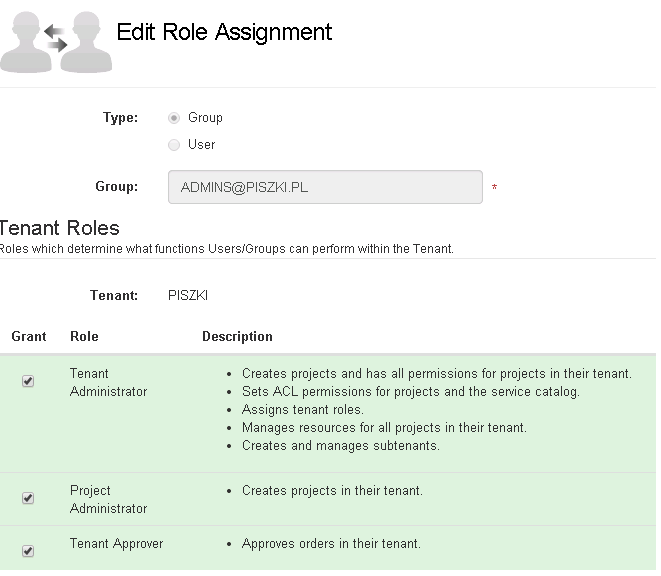 Now go to the “Tenant Settings -> Tenants” and create our first tenant. In the same place, map users who can access it, attributes can be any (compatible with AD). For example, this may be the name of the AD group. Added user has basic rights, can log into ViPR and apply for resources (and nothing else). 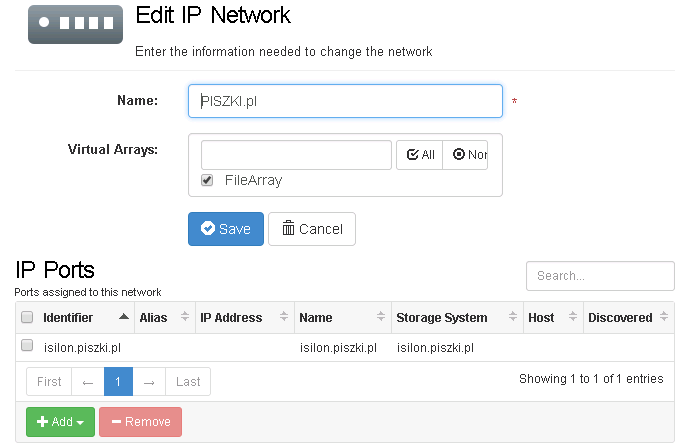 Next, go to the section “Physical Assets -> Networks” and add a new “network”. 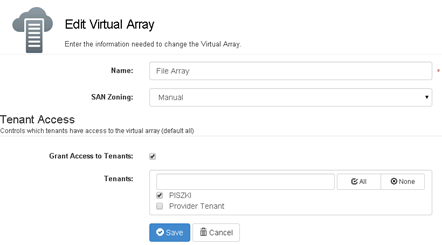 The network is nothing else, that the point of joining the “Storage Ports” in the groups that we can assign to the virtual array. In this way, we can quite freely mix access to data resources for specific tenants (eg. Business groups). 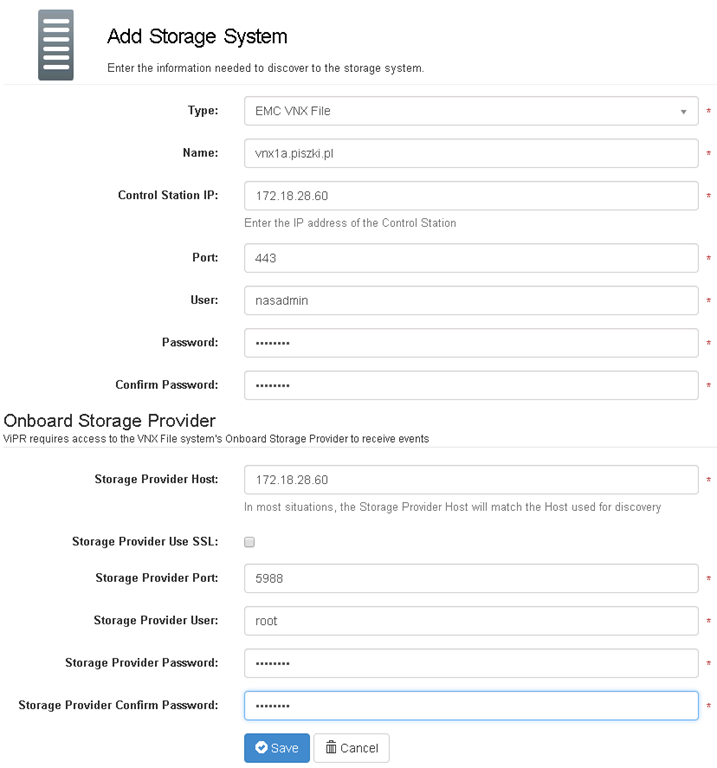 It remains for us to add vCenter to which we export volumns via NFS. 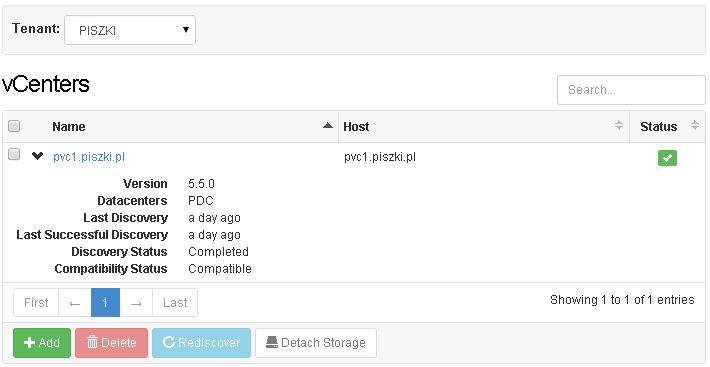 This step is not mandatory, we might as well define single hosts (Windows, Linux, whatever). 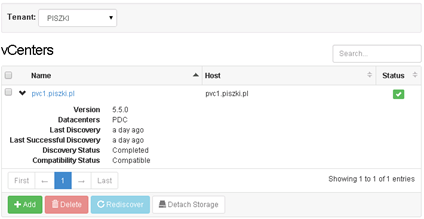 ViPR will recognize the full configuration of vCenter, including information about the hosts and clusters. Now we have everything that we need to prepare our first file system and export it to our vCenter. We can do this as root, but of course it would be better to do it as a tenant member. 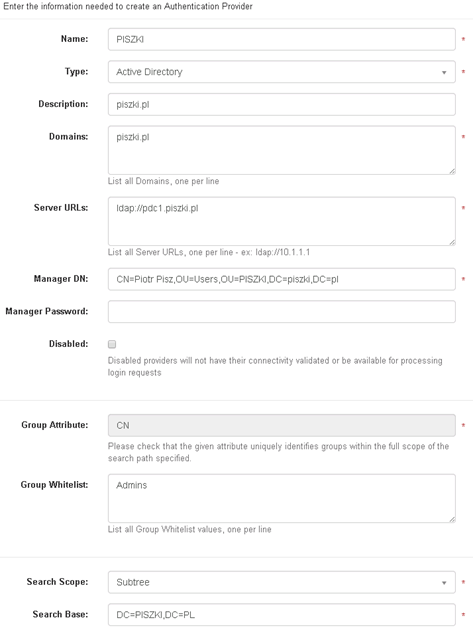 A new resource conclude in the “Service Catalog -> View Catalog -> File Services for VMware vCenter.” Depending on how you make the privileges, resource get immediately or we will have to wait for the approval of our request. These two steps are completed as the root user, thus added vCenter is available globally for all tenants. But it is enough relogin to the user who manages the tenant and see that it can add another vCenter themselves (vCenter can not be duplicated). And that’s basically all when it comes to ViPR controller operation logic. Very encourage you to test this solution, in the next post I will try to show the principle of the EMC ViPR SRM operation. And finally, answer the question “is it worth it?” Initially, the idea itself seemed quite strange, but the longer I use it, the more I find that it is sensational. 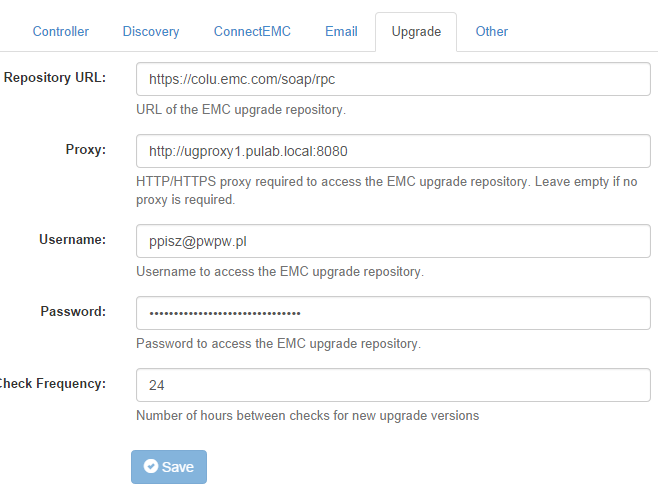 EMC ViPR does not replace the administrative panel of the storage, you can not set anything complex in the ViPR. 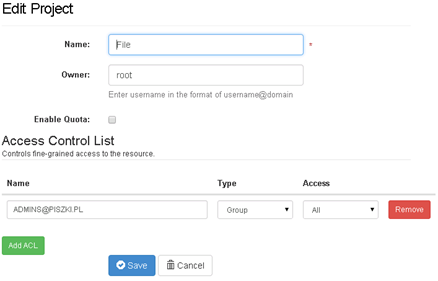 However, replaces and simplifies all operations on volumes (create, export). 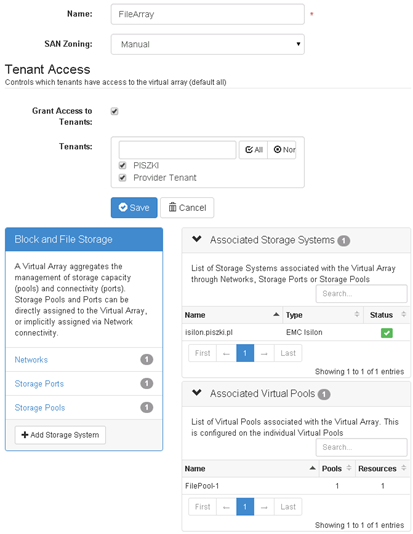 The more complex storage environment is, the more useful is the ViPR ! 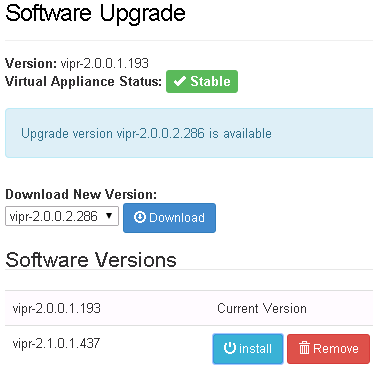 Error: ViPR VM lost network. Reason: You move ViPR to another vApp, do not this, the VM settings are get from vApp settings.